It’s been revealed that Yasmine Dar, the Corbynite activist who has just been elected onto the Labour Party’s National Executive Committee (NEC), had previously attended events which celebrated the 1979 Iranian Islamic revolution, which saw the current brutal theocratic dictatorship come to power. 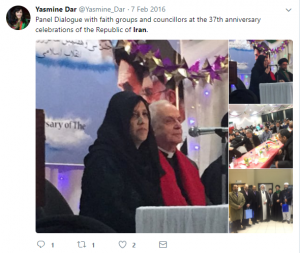 In March 2017 the Guido Fawkes political blog demonstrated that Dar spoke at a rally in Manchester earlier that year, which was held to mark the 38th anniversary of the Iranian revolution. 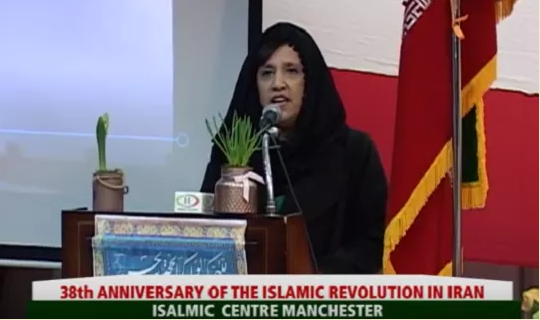 Dar described it as an ‘absolute honour’ to make the address, and went on to state that ‘we’re here for a celebration, a happy time, 38 years of the Iranian Islamic revolution so I’m absolutely happy’. There was no ambiguity about why the event was being held. The first speaker explained that ‘this gathering is being held to celebrate the 38th anniversary of the Islamic revolution in Iran, and let me take this opportunity to congratulate the Iranian nation, leaders and all those who are friends of Iran and the Islamic revolution’. Full video of the event can be viewed below (Dar starts speaking at 1:19:30). Nor was this the first time Dar attended an event supporting the Islamic revolution (and the religious fundamentalist regime is spawned). She spoke at a similar event in February 2016 which she described on Twitter as ‘the 37th anniversary celebrations of the Republic of Iran’. It appears she was on the panel for this event as well. Dar was elected to the Labour NEC alongside Jon Lansman, founding Chair of Momentum and another Corbynite activist. 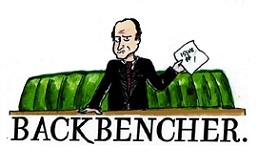 All three were backed by Momentum and the pro-Corbyn Campaign for Labour Party Democracy. So why did someone who is now a senior Labour activist speak twice at an event to celebrate a far-right theocratic dictatorship? A regime which executes homosexuals, has killed thousands of political opponents (including leftists) and ordains what women can wear by law? The mind truly boggles.